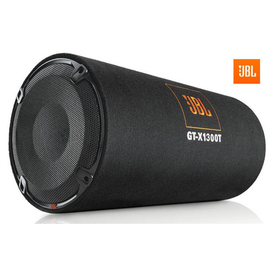 If you are a music enthusiast and quality sound output is a mandatory thing for you while listening to any kind of music, then you have got to have this JBL Passive Subwoofer. Distortion-free Sounds This universal car subwoofer produces distortion-free bass sounds and enhances the sound quality of the speaker systems. It has an ergonomic design and can easily fit inside your car. If you are a music enthusiast and quality sound output is a mandatory thing for you while listening to any kind of music, then you have got to have this JBL Passive Subwoofer. Distortion-free Sounds This universal car subwoofer produces distortion-free bass sounds and enhances the sound quality of the speaker systems. It has an ergonomic design and can easily fit inside your car.